Think of an adjustment as “tuning” a piano, adjusting each string so it produces the perfect tone. 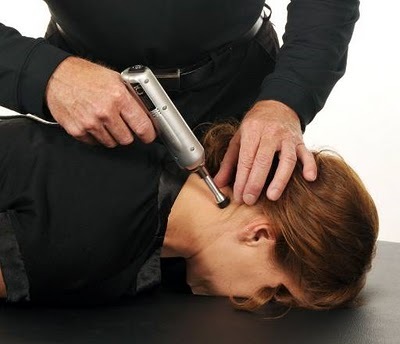 Here are some Chiropractic Techniques that are used by Romo Chiropractic doctors. Back pain, neck pain, and even poor circulation in the extremities can take a toll on your health, and may be a result of poor spinal alignment. If you have poor posture, a misaligned spine can cause a variety of health problems and requires professional adjustment. Romo Chiropractic doctors are trained in a number of chiropractic techniques that help align the spine and bring your body into balance; each technique offers benefits including reduced pain, increased mobility, and better health overall. Spinal manipulation is the overall process of spinal adjustment used by Romo Chiropractic, and involves 'retraining' the spine and surrounding muscles to adapt to a healthier state of functionality. Spinal manipulation is often used to increase mobility, and place a significant amount of pressure to the spinal joint - often forcefully - to bring the entire spinal column into balance. Poor spinal health results in a variety of symptoms including muscle atrophy, organ dysfunction, and even mental health problems. Chiropractors use extremity manipulation to mobilize muscles and joints that may be causing musculoskeletal problems. The goal of extremity manipulation and extremity adjusting is to restore mobility and nerve supply to joints and extremities that are affecting the nervous system. This is a new technique developed to provide controlled treatments to the specific areas you’re having trouble with. Dr. Romo uses the Impulse Adjusting Instrument to provide this treatment rather than the traditional manual methods. Impulse adjustments are high-tech. There is no popping or cracking with these adjustments , but rather very precise and targeted adjustments designed to specifically care for just the right areas Years of research have gone into the development of the Impulse Instruments to create gentle chiropractic adjustments that are safe and effective for patients of all ages. The Thompson Technique is another method of adjustment that involves analyzing the length of the legs.